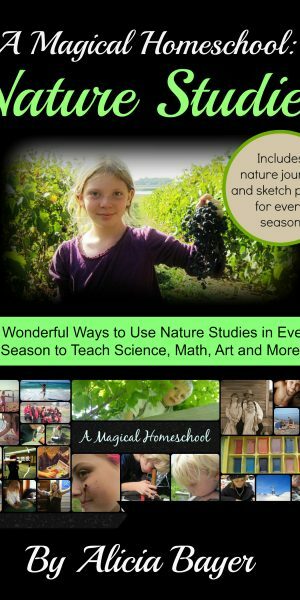 Fall Nature Studies: Nature Math! Fall is right around the corner and there are so many wonderful ways to learn with this season. 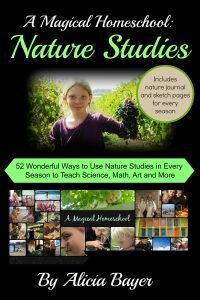 Here’s one fun way to do math with fall nature items, from my book, A Magical Homeschool: Nature Studies (52 Wonderful Ways to Use Nature Studies in Every Season to Teach Science, Math, Art and More). 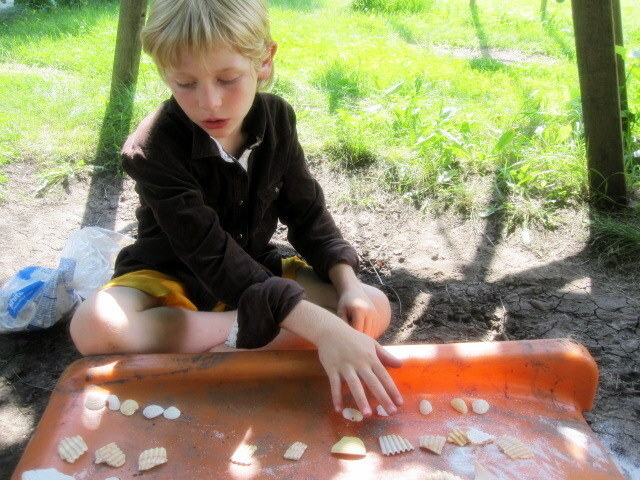 Make math manipulatives out of natural items outside. 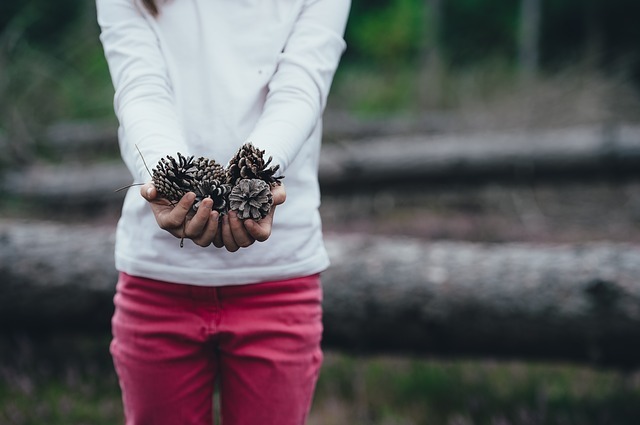 Challenge the kids to help you collect all sorts of natural treasures to use for different number values. You can use shells, rocks, pine cones, sticks (paint them and use different lengths like Cuisenaire rods! ), tree nuts, you name it. Put the kids in charge of deciding what each item is worth and then ask them to show you how to use them. For instance, they could use shells like money (big ones are a dollar, little gray ones are five cents, and so on) and then “shop” with them. Alternately, they could make base ten values for various items (these pine cones are 100, these rocks are 10, these seed pods are one…) and then use them for calculations. 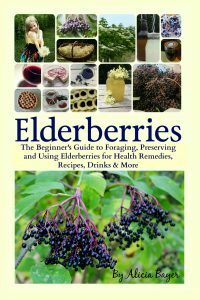 Of course, like many of the projects in the book, this is one that you can do year-round. 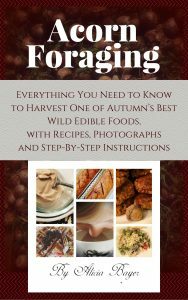 It’s just particularly well suited for fall with the wonderful assortment of acorns, pine cones and other natural items to gather this time of year. 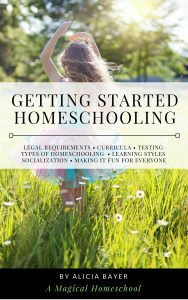 You can read the book for free if you subscribe to Kindle Unlimited (if you do subscribe to KU, you might also like our Facebook page, Homeschooling with Kindle Unlimited). Click here if you’d like to peek inside the book. Note: This post contains affiliate links. Purchases made on Amazon through our links earns us a small commission at no extra cost to you. I saw one of my microscopy images used on the site so I came to visit. Not to worry its in public domain. You sound like great parents and teachers. One thing to add to the list of things to look at, is crystals. My favorite is MgSO4. With careful timing you can mix with water on a microscope slide and the heat from the light will “cook it” and you can watch the crystals grow in real time. Add some color die etc for holiday fun. Do you have a microscope camera? I don’t mean a full size dslr. I mean the small bullet cameras that fit in the eyepiece. The 5mp version is awesome for videos and pictures. Yes, we have those and also pocket microscopes that we really enjoy. There are so many affordable options these days. I’m not sure if we’ve looked at epsom salts or not, but I’ll make sure to add it to the salts we look at. Thanks for the suggestion!